Introducing Coaster Liberty in Adelajda print, a stylish addition to the much loved Gola X Liberty Art Fabrics collection. 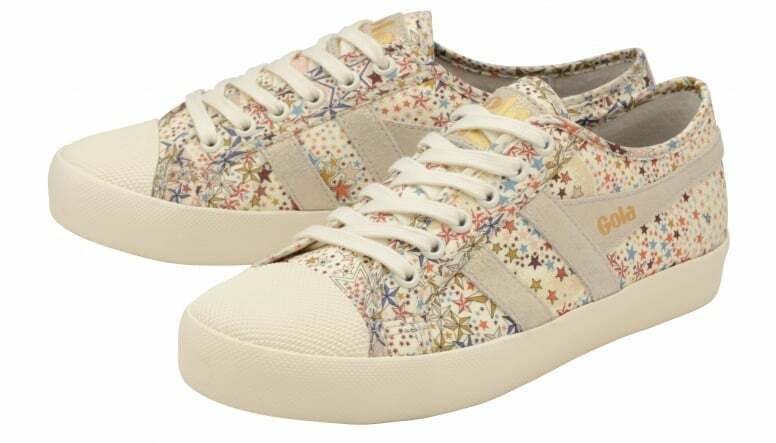 The galaxy of swirling stars inspired Liberty Art Fabrics print upper is executed on our classic Coaster plimsoll. Features include an off white wingflash and laces and off white sole unit. 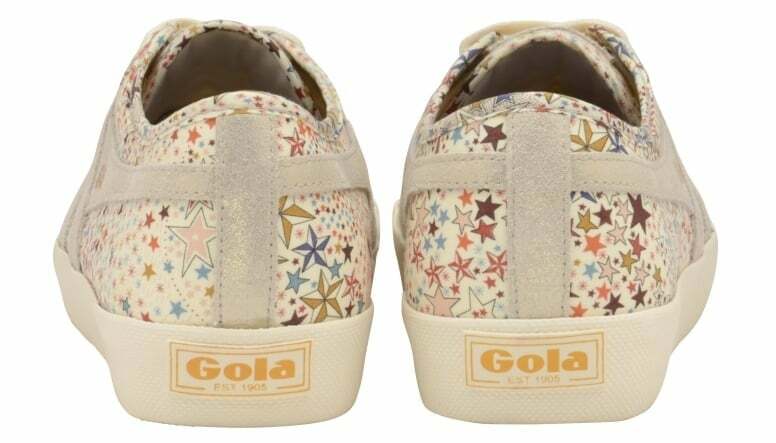 The style is completed with a Gola X Liberty Art Fabrics in-sock and gold branding to the wingflash and tongue.